I love when nail polish names have a good bit of cheekiness to them without taking it too far into inappropriate territory. 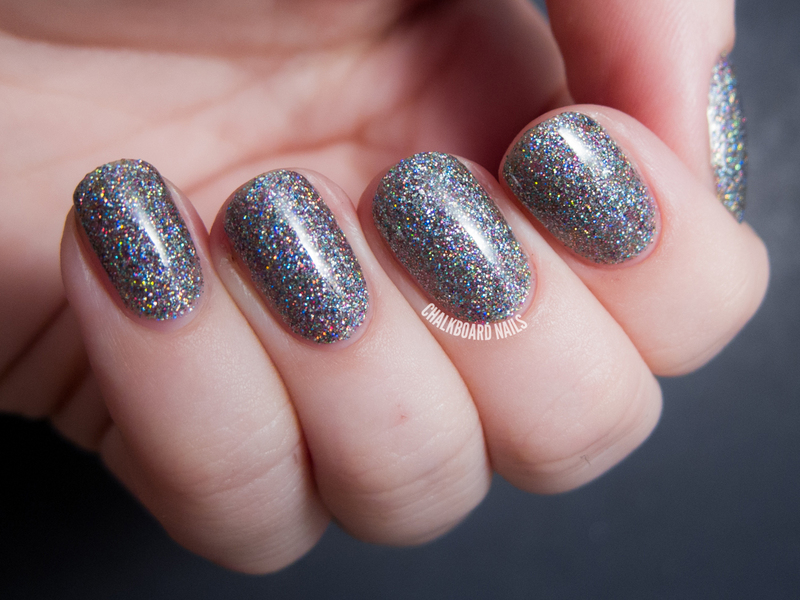 Girly Bits' second anniversary polish, A Stripper Has Been Sleeping In My Bed, finds a sweet spot with its funny name and the mega sparkles to back it up. This polish is awesome for three reasons. 1. This glitter can be worn layered over your favorite shade, or you can use 2-3 coats alone for a full coverage glitter effect. I've used three coats here. 2. It's not as top coat hungry as I expected it to be. I really only needed one coat of Seche Vite. Win! 3. It's seriously so, so, so glittery. It glimmers wildly, especially in direct light or sunlight, but it isn't shy indoors either. 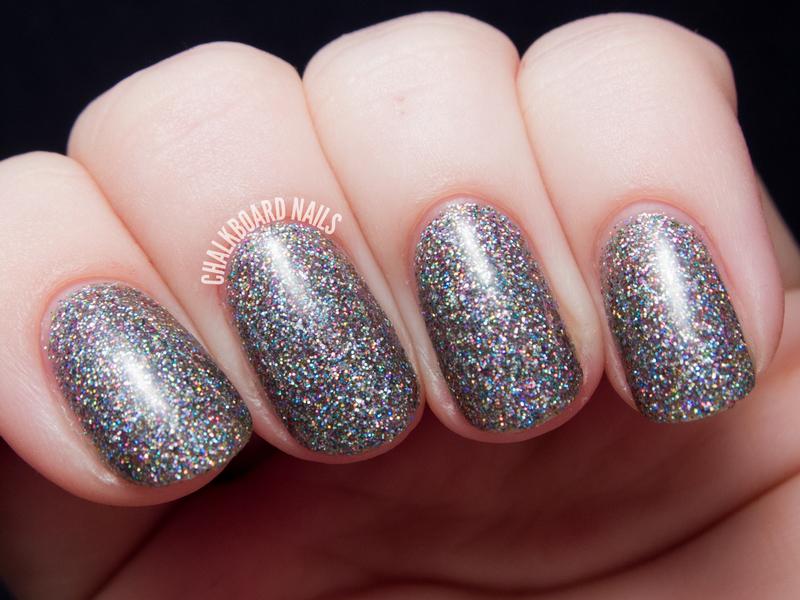 The overall effect is kind of a medium gunmetal shade that brings a million sparks of glitter. I haven't been jamming on chunky glitters as much lately, so this one is just perfect for my current tastes. If you missed it, be sure to check out my Instavideo of this beauty in motion. Girly Bits polishes are sold on girlybitscosmetics.com and via distributors. 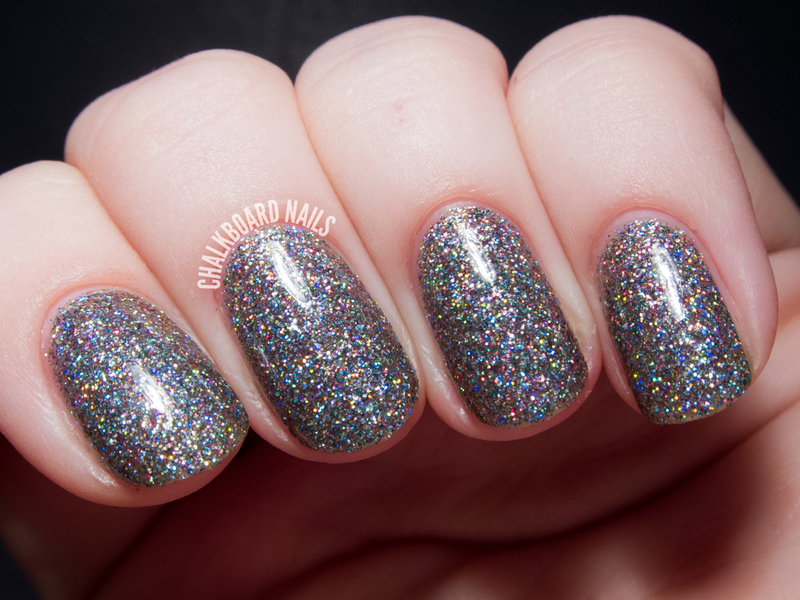 This particular polish has been put on hold because of a glitter batch issue, so be sure to keep up with the brand on Facebook, Twitter, and Instagram for more info on when it will be available again. Oh my.... This is too gorgeous! The name is just a plus! 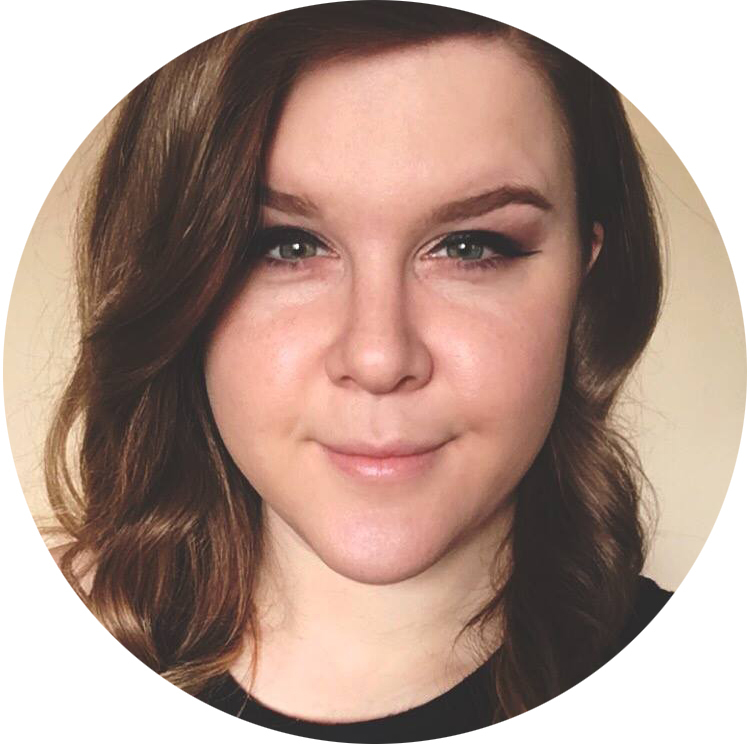 Gorgeous swatches as always Sarah, and I LOVE that video!!! This is a stunning color! Love my holos! 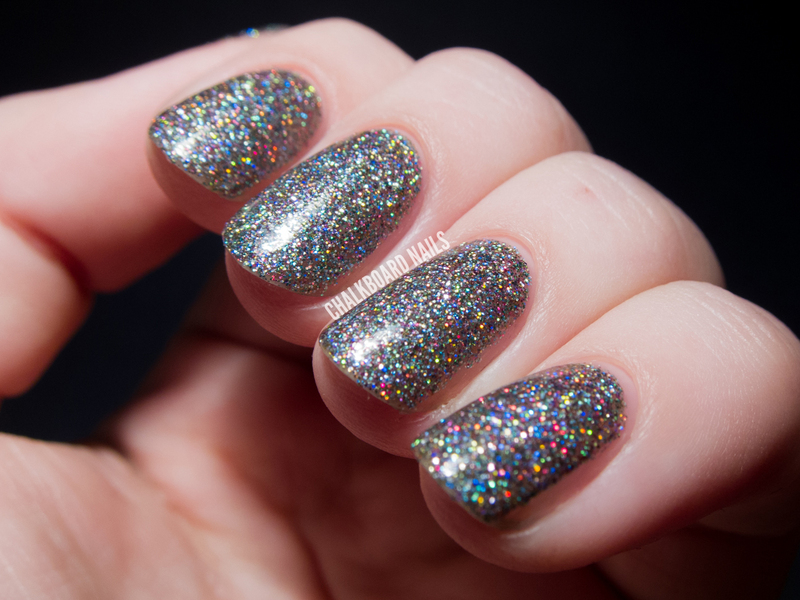 This is an amazing glitter! It's gorgeous. Glitter and sparkles and colors !!!! What more can I ask for !!!!!!!!! Sure is for sleeping in your bed. It's great! It's SUCH an amazing shade! Love it! cheats along with triche. therefore be sure to get your copy these days. it to be designed for free to ensure that anyone through any part of the earth should have the same prospects for getting hired.